It’s autumn as the French call it, c’est la rentrée ! It’s also the best time to be out and about with kids, because this is when you’ll find most interesting activities to do, from museums to concerts, from temporary exhibitions to theatres, Paris is booming with novelty and new experiences to be discovered when French children are back to school. Happy families seeking inspiration for their little Leonardos behold for there is more to Paris than meet the eyes in le Louvre! If you’re traveling with children, you will probably be exhausted before you even get inside. That’s why we brought for you a smart list of less well known spots that are authentic, often queue-free and a pleasure to visit with the little ones. The secret is to discover these places at a slower pace, exploring neighborhoods, parks, bakeries and cafes. In other words, forget the Paris from travel books, and you’ll get much closer to the Ratatouille experience. 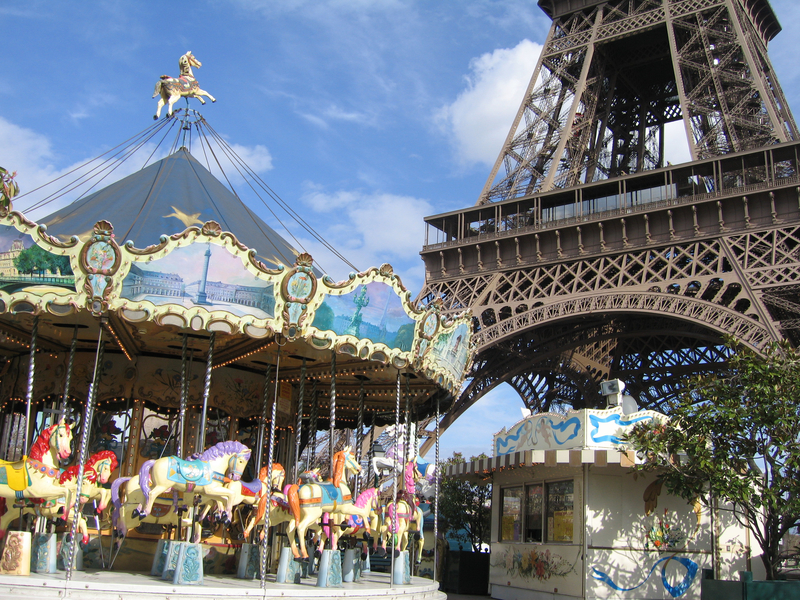 Now let’s debunk the biggest myth of all: Paris is not only for lovers; it’s also for families — oh yes it is! — just ask the French, who now have one of Europe’s highest birthrates (well maybe that’s why… but hey, this post is about the kids!) The city is compact, safe and covered with child-friendly places. Here are a few tips. Opt for smaller museums that you can tour in an hour or so, which is about as much as most little kids (and some grown-ups like me) can absorb. To prove your little ones that there was life before iPods, take them to the Musée des Arts et Métiers (Museum of arts and trades, 60, rue Réaumur, 3rd district). Their collections of antique cameras, televisions, printing presses, construction materials and scientific instruments tell the story about the industrial revolution and the birth of mass communication. Mind you, you might get embarrassed to admit having used most of that paraphernalia that your simple iPhone in your pocket can almost surely substitute! After a tour around the unavoidable Notre Dame Cathedral (where they can confirm that the famous cartoon scenario really exists!) take them to the nearby Marché aux Fleurs et aux Oiseaux, the birds and flowers market on the Place Louis Lépine and Quai de la Corse (open every day from 8 a.m. to 7:30 p.m.). You will find original stalls from 1900s and a big selection of rare birds and other little pets, with a chance to caress them and all. #Don’t forget to tweet that you’re there! The Jardin des Plantes (5th district) holds several attractions. Visit a mini zoo at La Ménagerie, created in the 18th-century featuring a monkey house, reptile rooms and a Chinese panther. Then go for the striking collection of dinosaurs and their cousins at the National Museum of Natural History, all this in between 17th-century gardens, filled with carousels and small restaurants. Enjoy Paris les enfants* !! Since ever, Saint – Germain des Prés has been a place of a particular charm that has always inspired artists. The St-Germain-des-Prés neighborhood extends southwards towards the sprawling Jardin du Luxembourg. It is hugged by the lively Latin Quarter to the east and the Eiffel Tower district to the west. To check out the area’s many art galleries, get off at Metro St-Germain-des-Prés (line 4) and walk north towards the Seine. For power shopping or a bite to eat, cross the Boulevard St-Germain and head south, or walk east from Metro Sèvres-Babylone (line 10). If you get off at Luxembourg (RER B), go northwest through the garden to get to the heart of the neighborhood. Paris Neighborhoods: how does it work? The city of Paris is divided into twenty arrondissements.The twenty arrondissements are arranged in the form of a clockwise spiral, starting in the middle of the city, with the first on the Right Bank (north bank) of the Seine. Posted in Paris guideLeave a Comment on Paris Neighborhoods: how does it work?